You have a position to fill and you’ve found some candidates to interview. But a compliance misstep at this stage could cost you a lot more than just the right hire. 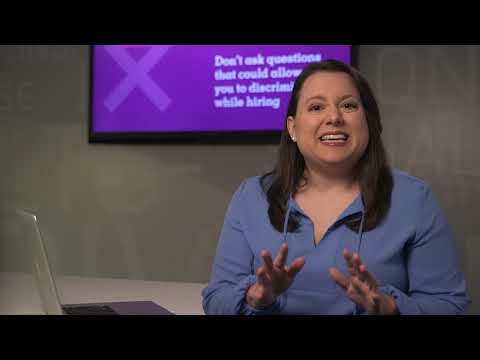 Watch: What can or can't I ask in an interview? Many cities and states now have “ban the box” laws that prohibit employers from inquiring about a candidate’s criminal history on the job application or before a certain point in the hiring process. Check the laws in your hiring area. Leveraging templates and other online tools to help you craft best practice job descriptions.